Obituary for Roger A. Chambers Sr. | McIlvaine-Speakman Funeral Home LTD.
Roger A. Chambers Sr. 79, of Canonsburg, passed away, Saturday, January 26, 2019, in UPMC Presbyterian Hospital, Pittsburgh. He was born July 1, 1939, in Canonsburg, a son of Stewart and Ada Sutcliffe Chambers. Mr. 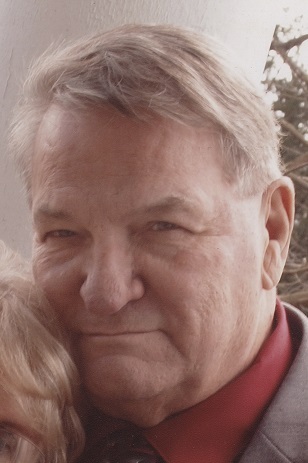 Chambers was a 1957 graduate of Canonsburg High School. He received his Bachelor’s and Master’s Degree in Education from the California University of Pennsylvania. Roger served with the US Air Force from 1958 until 1961. During the cold war, he was a radio interceptor analyst specialist and through the military attended Syracuse University to learn Russian. He had worked at McGraw Edison in Canonsburg for several years while attending college. Following college, he took a job teaching visual communications at the Canon-McMillan High School retiring in 2000. He was a member and former president of the CMEA and also belonged to the Pennsylvania State Education Association and the National Education Association. For several years, Roger played for the Washington Generals semi-pro football team. He was an avid golfer and enjoyed Fridays at the Casino. Mr. Chambers loved learning and following his retirement from teaching, attended Waynesburg University to take classes in nursing. On February 10, 1962, he married Nora Lee Worstell who survives. Also surviving are four children, Lori Snyder (Tony) of Pittsburgh, Roger Chambers Jr. (Lori) of McDonald, Barbara Cobos (Carlos) of Las Vegas, NV and Julie Bauer (Bill) of Queensbury, NY; nine grandchildren, Caitlin and Caroline Snyder, Allison Turner (Larz), Roger Chambers III, Alyssa Chambers (Zach Millerschoen), Madison Chambers and Lauren, Noah, Lindsay and Ethan Bauer; a great grandson Quinton Millerschoen; two brothers, Robert Chambers (Barbara) of Cleveland, OH and Gerald Chambers (Mary) of Washington; four sisters, Barbara DeMarco of Canonsburg, Garnet McAfee of Washington, Alice Wright (Clarence) of Houston and Lynda Rubis of Canonsburg. Deceased are a brother, Stewart Chambers Jr., and a sister, Kathryn Chambers. Friends will be received from 7 to 9 Tuesday and 2 to 4 and 7 to 9 Wednesday in McIlvaine-Speakman Funeral Home Ltd., Robert K. McIlvaine, owner/supervisor, 27 Cherry Avenue, Houston, PA 15342, where services will be held at 11:00 a.m. on Thursday, January 31, 2019, with Rev. Donald Austin officiating. Interment will follow in National Cemetery of the Alleghenies, Cecil Twp. The family suggests memorial contributions be made to the American Heart Association, PO Box 15120, Chicago, IL 60693, www.heart.org.